Harness for pros and experts, for intensive use on any terrain. 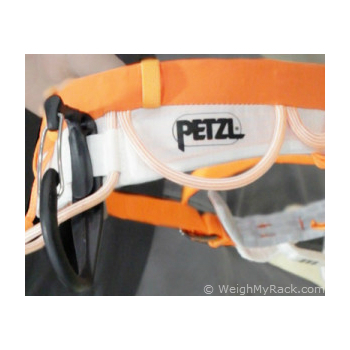 The Petzl Sitta is an excellent lightweight harness that performs well across all climbing disciplines. While I have some personal preferences that the Sitta doesn’t perfectly align with (primarily in the configuration of the gear loops), those do not detract from the comfort or the overall performance of the harness. But is the Sitta’s comfort, weight, and performance worth an extra $100 when compared to budget harnesses? That’s a question that you’ll need to answer by looking at your personal priorities. For me, $100 buys gas from my house in Bozeman to the Bugaboos. Or two weeks of food in Indian Creek. Or a well-constructed, high-performance, lightweight harness that will stand up to heavy use across a wide range of climbing disciplines. For me, I think the Sitta’s cost is justified since it gives me one harness to use for all my climbing pursuits, and it also happens to be one of the lightest all-round harnesses on the market. 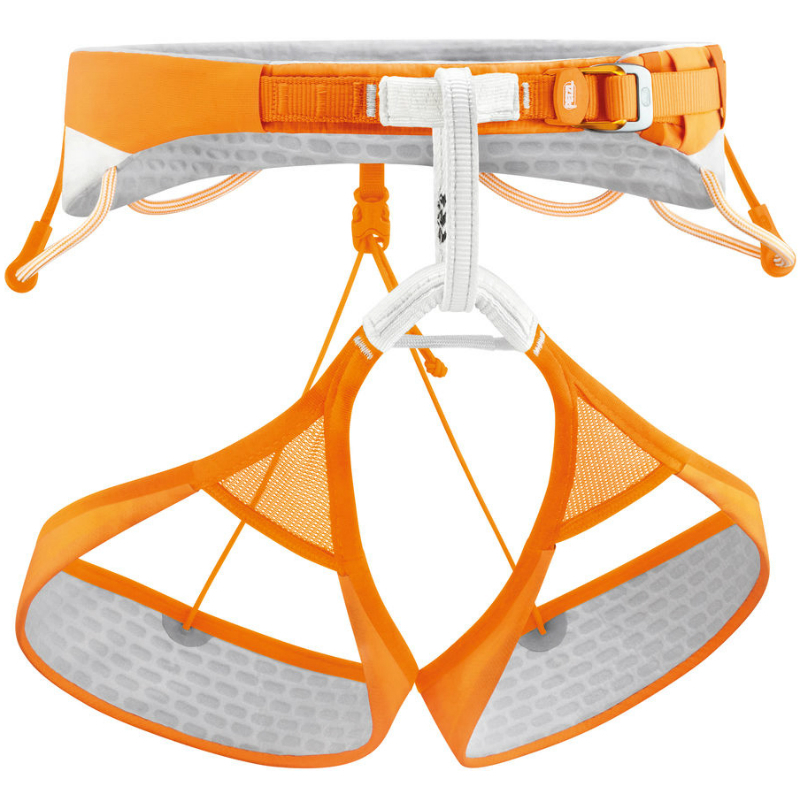 In a nutshell the SITTA is a lightweight fixed leg loop harness designed primarily for mountain and big route use. It has four gear loops and a small rear haul loop; two attachment points for ice screw clippers; a reinforced belay loop (reassuringly there has been no weight saving here - thanks Petzl! ); elasticated leg loops and an exceedingly comfortable waist belt secured by a single speed buckle. I have now used the Sitta harness for both ice and rock climbing, and I am impressed with its’ functionality. 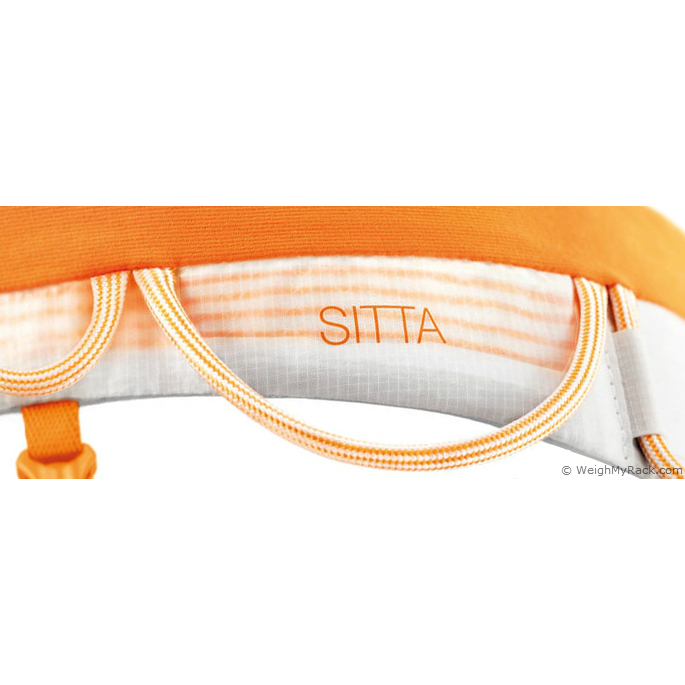 Especially on long multi-pitch routes where weight savings are critical, the Sitta is my tool of choice. The gear loops are large enough to hold rock protection and quick draws, and ice clippers can be attached is needed. 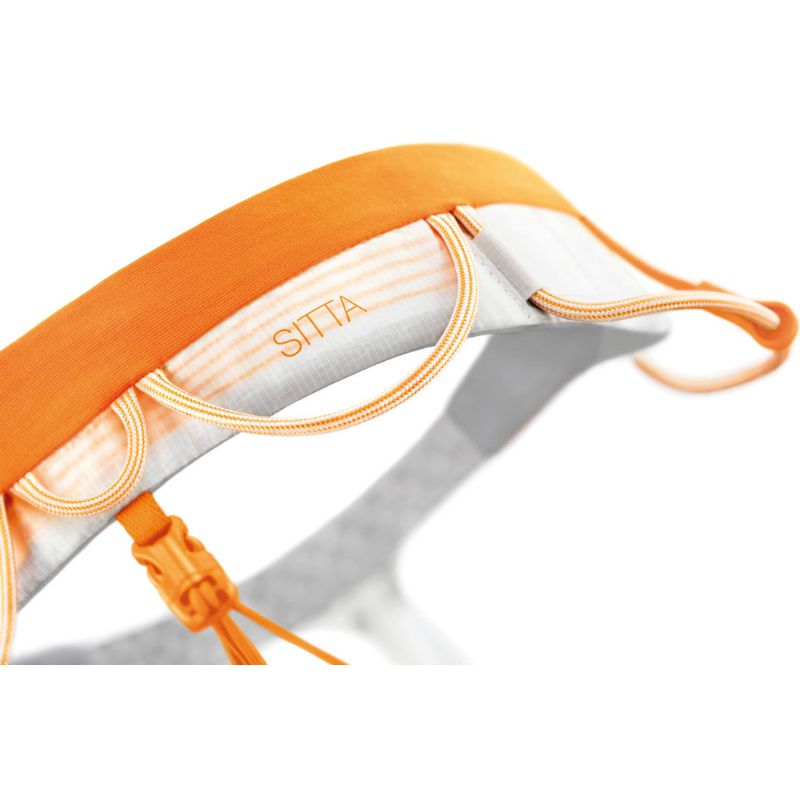 Most climbing is done in a harness, and when you decide which one is right for your needs, the SITTA should be high on the list. Despite the strikes against it (high price, no adjustable leg loops, easy tangling in a pack), this is an exceptional harness that is comfortable, versatile, and plenty light. The gear loops are cleverly designed, with variable stiffness based on positioning. The front two gear loops also have a removable divider, which is useful for racking different types of gear or lengths of quickdraws. I found myself using the divider mostly to rank draws with different sized carabiners. While it does not sound like a huge deal, having something there to prevent large carabiner quickdraws from ‘swallowing’ the smaller ones is a godsend when you desperately want to pull out the right one to clip. There is a small rear haul loop, great for pulling up an extra line when guiding to set up a nearby top rope, or pulling up a static line to be jugged up. The leg loops are elasticized and fit well regardless of layering, and the harness feels just as comfortable in shorts as it does against insulated pants. The most comfortable harness I’ve ever used, and also one of the lightest, the combination of which makes it feel almost as if you’re not wearing a harness at all. Highly recommended, though it has a couple of quirks that may not be to everyone’s preference. 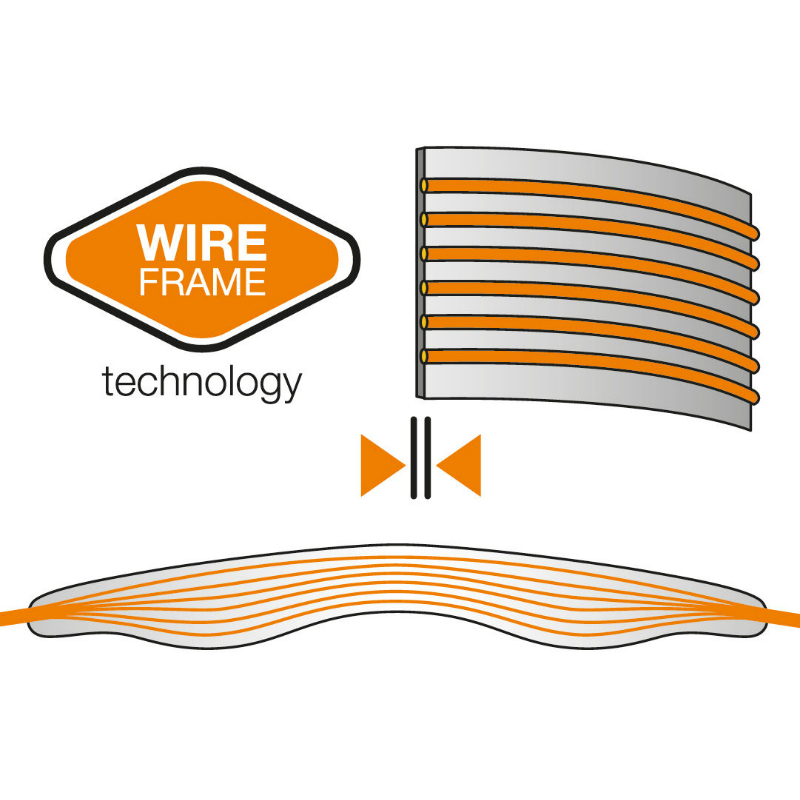 The magic is made possible by the Wireframe construction, which uses thin bands of Spectra in the waistbelt and leg loops, and eliminates the need for bulky and heavy foam. It also serves to distribute the weight evenly, and I’ve been shocked by how comfortable it is around my bony hips, expecting it to dig in given it’s small profile. 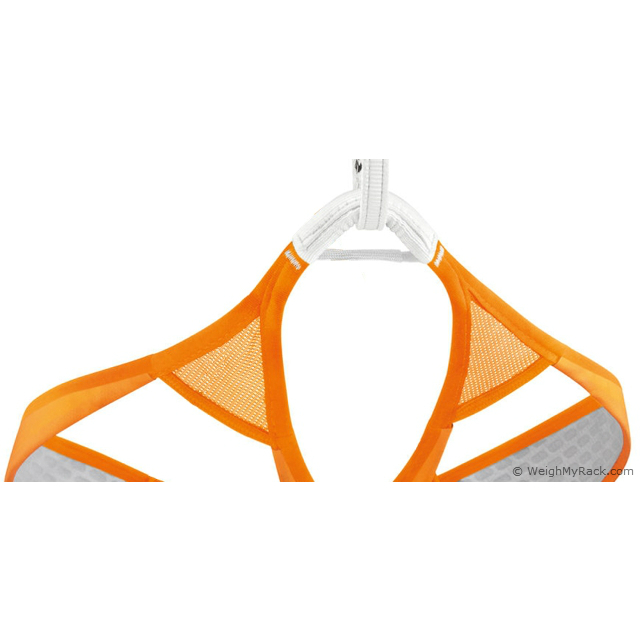 Other’s have said the same, and consensus seems to be that in spite of it’s size it ranks near the top of the comfort category when compared to all the harnesses currently on the market. “Lightweight harnesses aren’t supposed to be this comfortable,” one user said after a few whippers on the limestone tufas of Kalymnos, Greece. The wireframe technology uses Spectra strands as the skeleton, which run through the entire waistbelt and leg loops, and with a bonded fabric and no stitching on the outer material, testers found that the Sitta (9.5 oz.) was just as easy to wear as a fully padded big wall rig. Removing the foam makes it twice as packable, squeezing down to about the size of your morning cereal bowl. Indian Creek testers lauded the removable plastic separator on the front two gear loops, which organized gear and upped stiffness, making it easier to grab and go in terminal pump situations. 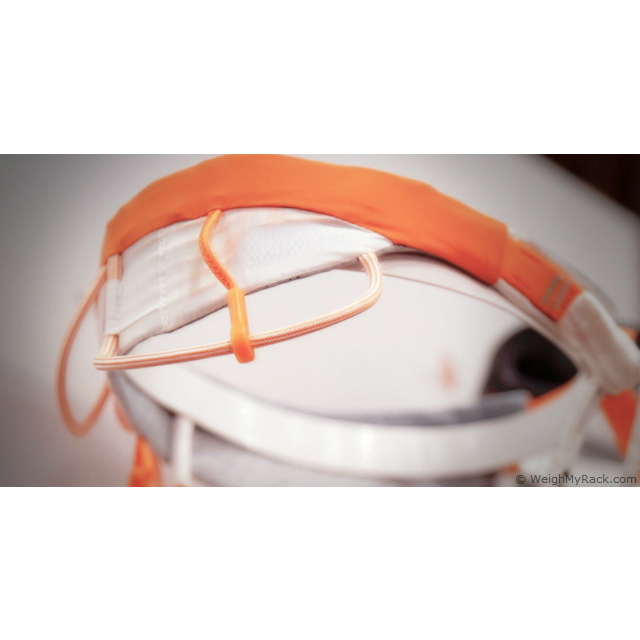 Describes with words and helpful photos, how to protect your harness. A checklist helping you monitor your harness health, helping to know when to retire your harness. Helpful instruction for inspecting Petzl harnesses. 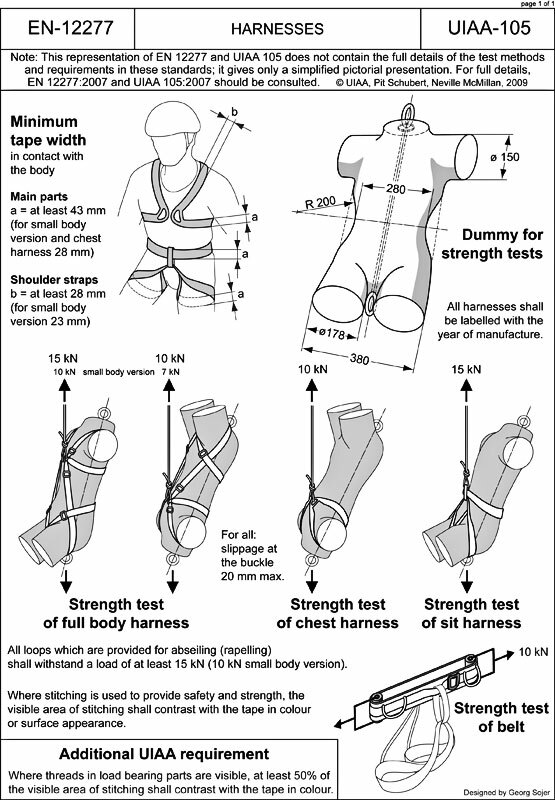 How to use Sitta harness correctly, inspection and additional information with instructional pictures.